You can hide the price of a plan in your shopping cart (ie. 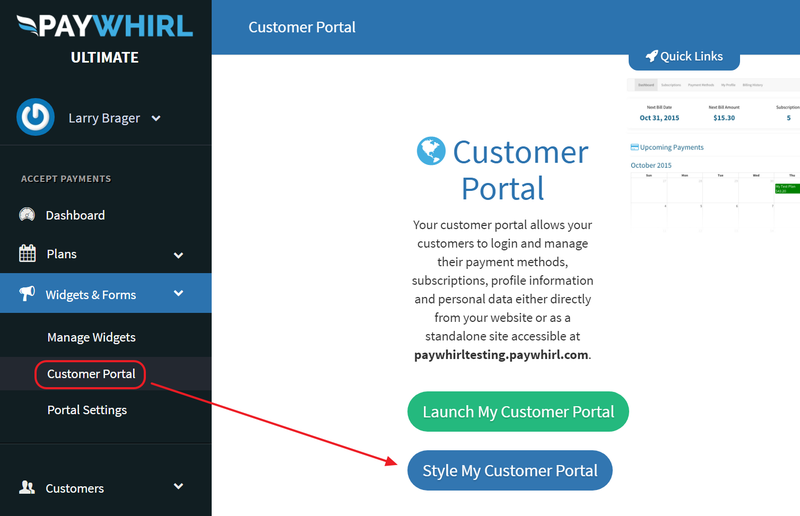 remove $0.00 per month) with custom css in your customer portal. In certain scenarios, you might want to hide the price of a specific plan in your customer' shopping cart. For example, you might have a $0 plan for a pre-sale where you just want to collect a credit card number but you don't want to charge customers until you actually ship your item(s) so you setup a plan that costs $0 with only one installment... This will work great, however, this will display "$0.00 Monthly" to customers when they are checking out and that might be confusing. 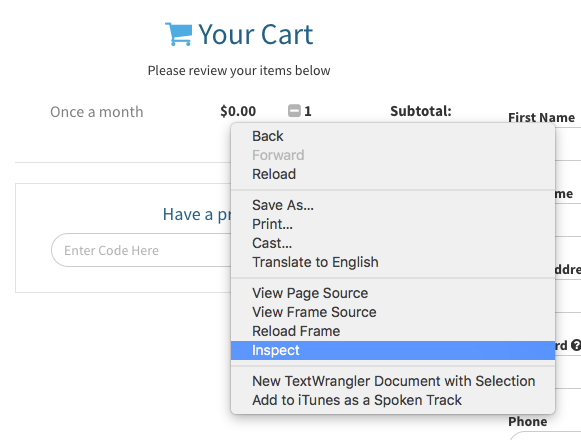 If you right click and inspect the item's row in your cart (that you want to modify) to view the underlying html you will see we append three different class names per cart item in the cart. Next, locate the "cart_item" div for the row you want to modify. This allows you to write specific css that will only apply to the plan in that row using three different controls... You can either hide all the prices with the same NAME, PRICE or TYPE using those unique class names. Note: You can also hide all the prices in the cart based on the TYPE of plan it is... For example, if you didn't want to show the price on any plans with a type = fee (setting in plans) then you would inspect the row that was for any fee and use it's unique type_ to write your CSS.